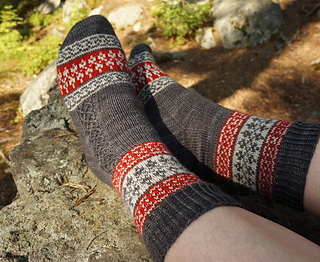 Echoes from Karelia sock pattern is a tribute to my mother’s North Karelian heritage. 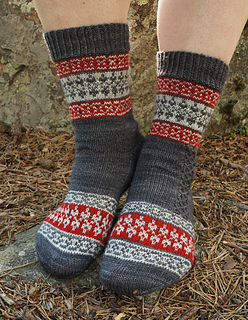 All the stranded patterns used are 4-stitch repeats, which makes the design easy even for less experienced knitters: there are no long yarn floats to tie and the total stitch count can be easily adjusted by 4-stitch intervals. 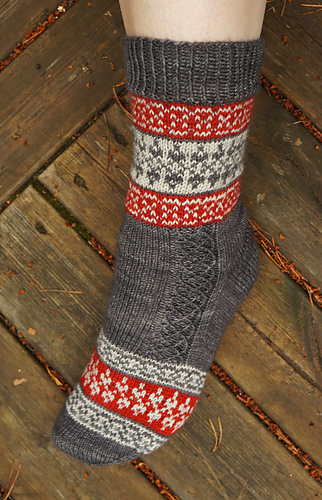 The stitch counts given in the instructions are 64 / 68 / 72 stitches. 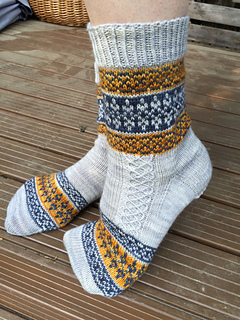 August 27, 2016: Pattern in Finnish added. Please note that the current version (ver1) has not been proof read. 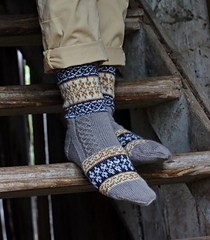 January 20, 2019: Pattern in Dutch added. Thank you Eswij for your contribution!